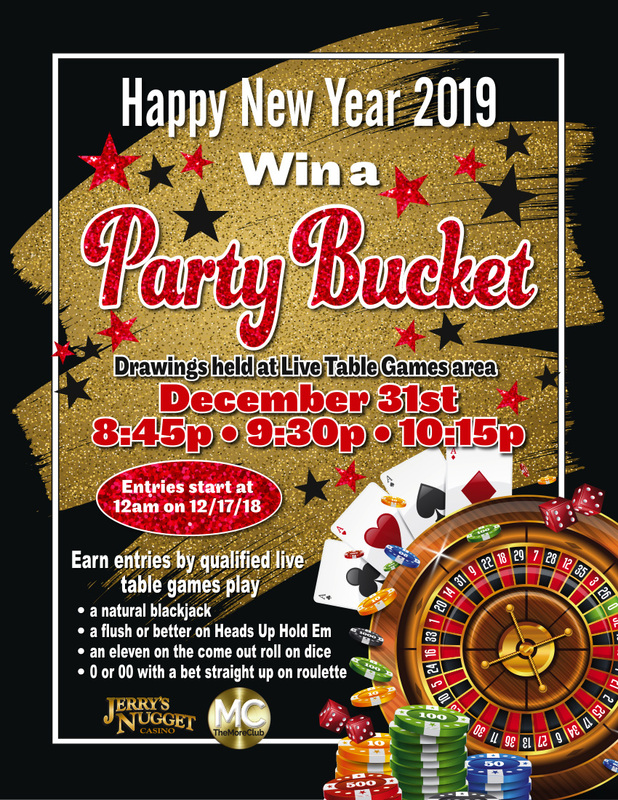 Eve at the live table games at Jerry’s Nugget. Three Party Buckets will be awarded. Winners must be present to win.